From Avi, “The client found us on Yelp and called me. When I met this wonderful couple, they told me that they loved the reviews online and jokingly thought that people seemed almost as if they were ready to nominate me for an Oscar (because the reviews were so glowing). He actually wasn’t sure at first that they were verified clients of Atlanta Curb Appeal. I assured him they absolutely were and I was genuinely appreciative of the positive testimonials Atlanta Curb Appeal had been getting around the web since our start. We had a great first visit and right away started discussing the design process. At this point in the meeting we examined the different pricing options of each fence style and the best corresponding wood choice for each one. 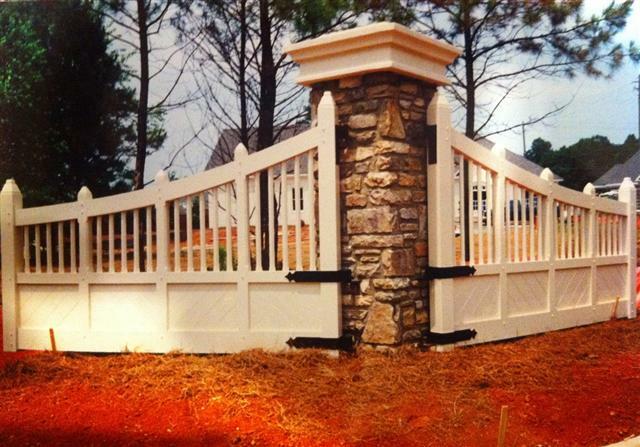 They had really liked the photos of an arched fence we had recently done in Smyrna, GA for an Atlanta architect. The couple asked to go and see it live in person and afterwards decided right away this was indeed what they had in mind. We came back, sat down and they asked me to do the same thing for them with a few little adjustments. Our crew did a wonderful job. They worked efficiently, on budget and most importantly executed it well. 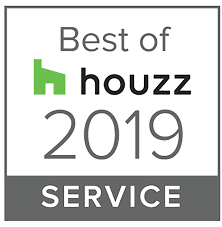 Today when we finished the job, he called me and wanted to say that our Atlanta Curb Appeal fence crew was not only fantastic but extremely professional. He loved the craftsmanship and could not believe that we were able to get him such a truly well made fence. He was equally impressed with the markedly strong gates. We did our custom woodworking on site using a special tool called a mortisor, a woodworking tool. This creates mortise frame joints. Other fence companies typically just nail the boards to the posts which obviously breaks after a few short months. See our quick video showing off our mortise machine. 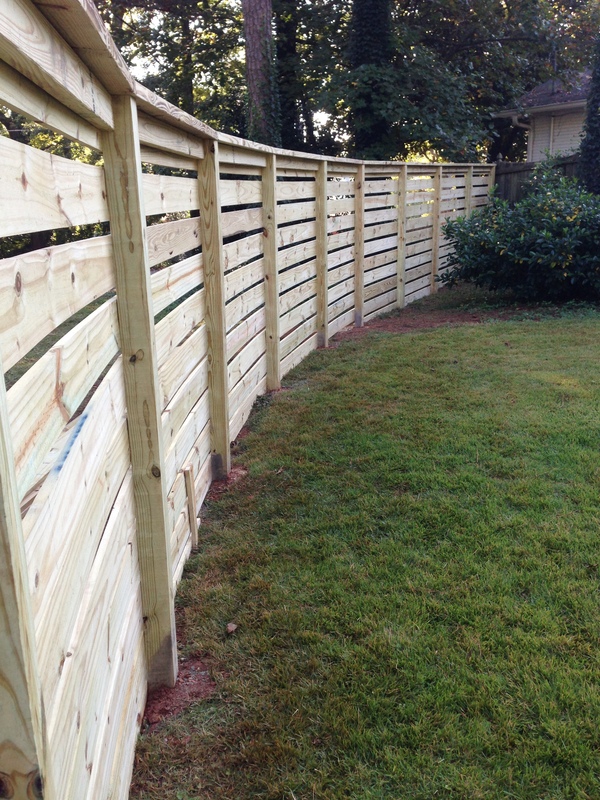 The fence is arched, which gives it a touch of flair that the client loved and the wood is left naturally to weather. It will do so beautifully in the coming months. Check out our gallery to see more pictures of Atlanta Curb Appeal’s work. The holidays are here, and that means either your inner Martha Stewart takes front and center stage or Jeff Foxworthy shows up in desperate need of a December copy of Better Homes and Garden. Assuming the former and you are ready to make your place fabulous for entertaining here are a few holiday curb appeal tips for your home. 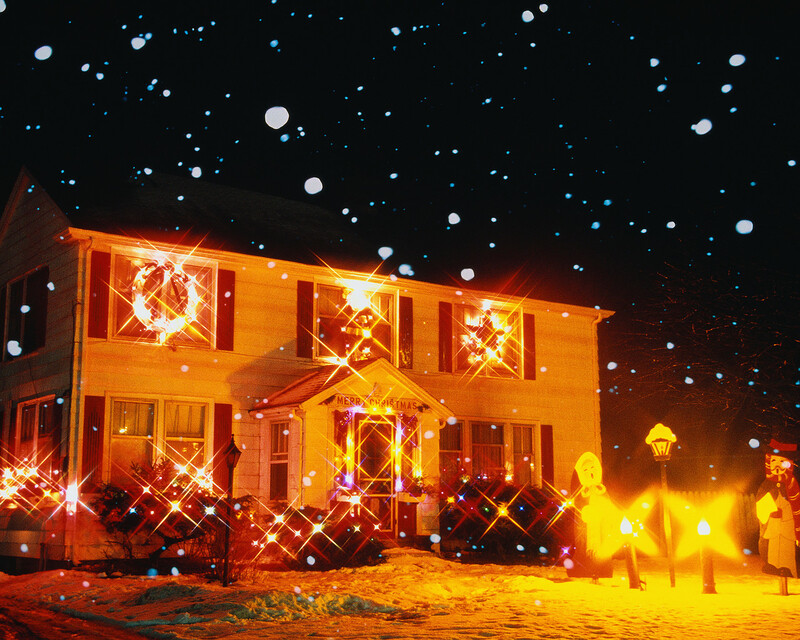 There is something magical about exterior holiday lights when you pull up to party. Obviously it works or Disney’s Main Street Electrical Parade wouldn’t be such a draw. Years ago there were few choices when it came to exterior lighting, but now thanks to industrialization and a China factory explosion, there are so many different types of lights on the market. Each light style sets a different mood. Icicle lights to encourage frosty thoughts, big blinking bulbs to entertain the kids or simple white strands that say “elegance”. 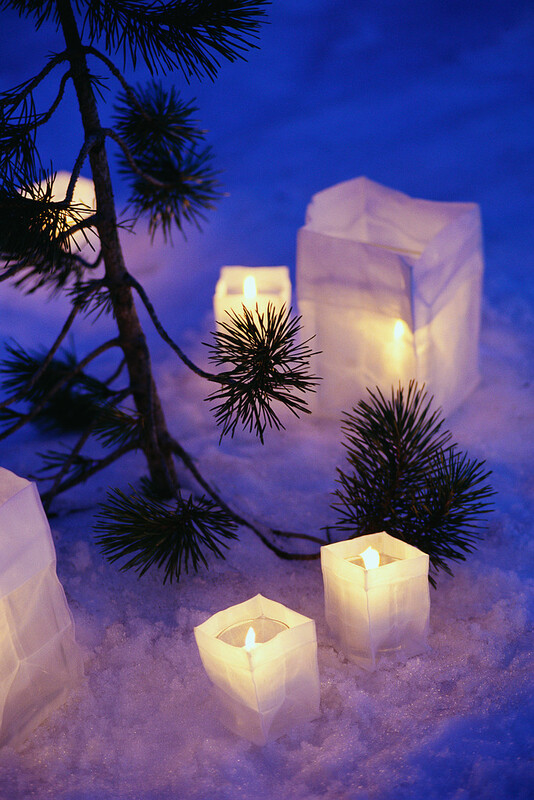 Use holiday lighting to set focal points or aimed at tall trees which create dramatic shadows. A simple pair of matching snowmen at the mailbox might be your biggest decoration. But if you are having several parties this year, consider getting serious about your outdoor appeal. Wreaths and or bows on the shutters, evenly placed are always a traditional hit. Menorahs or single candles in the windows express warmth to the outside. And finally the entryway. Go big with green fresh garland wrapping the rails or columns, add some lights for an additional pop. Your main door wreath options are huge. Fresh natural pine is not only beautiful in design, but the scent is a nice welcoming touch. Make sure the lawn is raked the day of your celebration if you still have leaves on the trees. Make sure all the flower and garden beds are cleared of dead buds and leaves. If you have an outdoor chimera get that cleaned up and loaded so all you have to do is light a match before an hour before the guests arrive. Don’t forget the marshmallows! 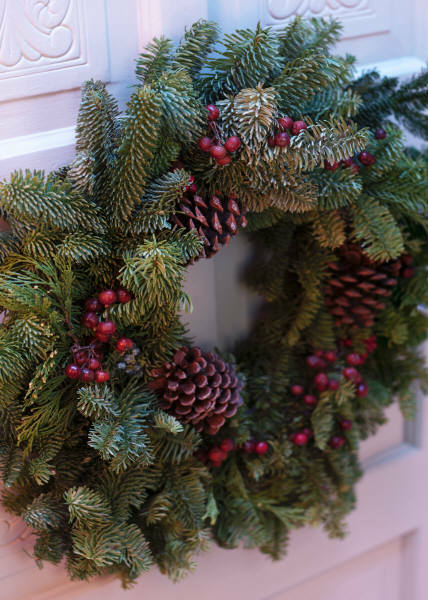 These holiday curb appeal tips are brought you to by Atlanta Curb Appeal. 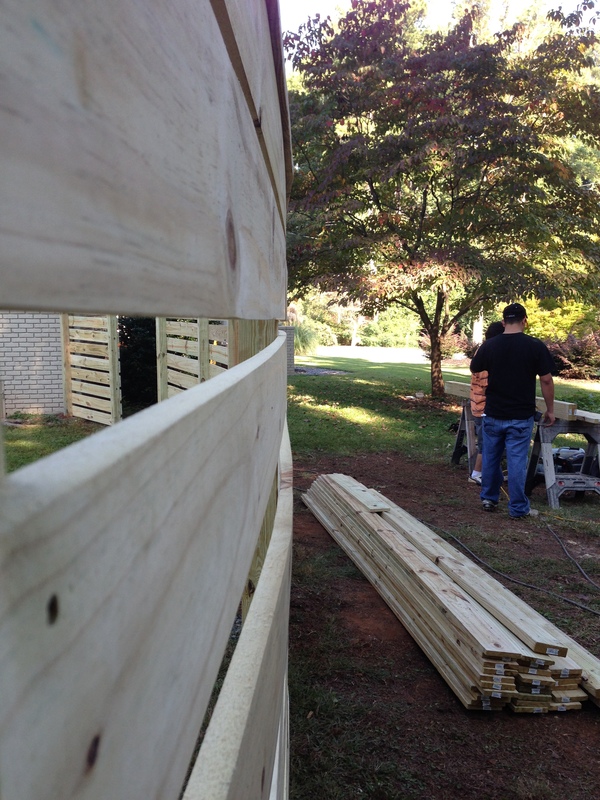 Interior and exterior contractors building in Atlanta and Buckhead great new decks, porches, decks and fences. 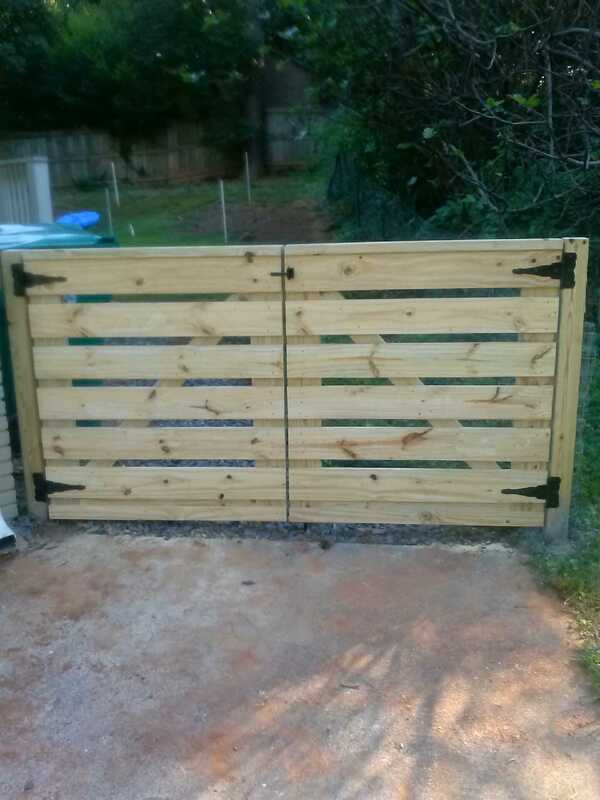 In Marietta, GA East Cobb and Buckhead and throughout the Atlanta area searching for the perfect fence can frankly feel a little overwhelming. You want the perfect combination of quality and price. Here are 3 tips for finding the perfect fence. 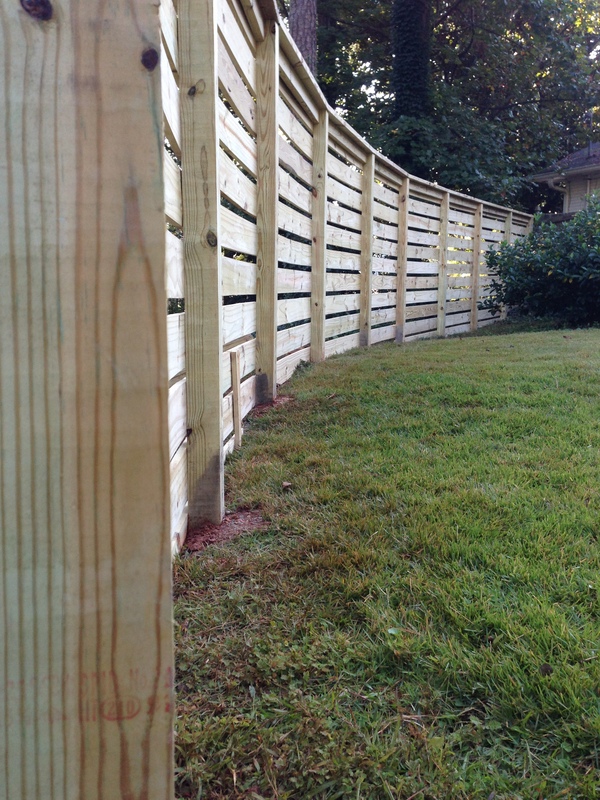 First, Atlanta Curb Appeal understands your fencing dilemma! We know that it can be downright challenging when it comes to finding the right kind of fencing for your home because while functionality is an issue, you want it to look nice and blend in with your neighborhood. A great contractor can help you evaluate those needs. Choose a contractor that is known for their quality bidding, gorgeous designs and of course quality construction. Atlanta Curb Appeal is known for these things and we can help you make wise decisions. First consider these things when selecting your new fence style. 1)Do I want my fence to match my personal style or my neighborhood’s style? Or is there a type of fence that would meet both needs? 2)Do I need it for keeping my children and animals safe? Do I need lockable gates? If you have a pool is the fence strong enough to keep out those who may harm themselves? 3)Is your fence for privacy or beauty? Rolling stone fences reminiscent of the country may not work if your grandmother tends to sun herself European style. With so many different varieties and choices we take the time to learn about you and your home. Consider this, is the fence for privacy, containment, or beauty? Are your needs functional or simply for Marietta curb appeal? Once we understand your needs for a fence then we can began to offer you choices that best suit you. Feel confident that at Atlanta Curb Appeal we take you step by step, panel by panel, to ensure complete customer satisfaction. We are able to get you a bid quickly and a detailed bid at that. In most cases, our quotes match our final bill, we don’t tack on “silly” expenses at the end because we underbid the job. We are used to working with investment bankers and realtors, so if you need weekly budget reports in Excel, we can provide that too! Give us a call to get that quote started, 770-778-1172. Or check out our website to see some of the other things Atlanta Curb Appeal handles like sunrooms, outdoor living spaces, porches and more.